Yuri Kim never thought this would happen. It was a cold February day in 2008, and she was sitting in North Korea's largest concert hall, listening to a performance by the New York Philharmonic -- not far from where she was born in South Korea. A political officer in the U.S. Foreign Service, Kim had no apparent reason to be accompanying the renowned American orchestra to the world's most isolated country, which would have been more suitable for a public diplomacy officer. But it was precisely her task on that unprecedented trip. She was an aide to Christopher Hill, the assistant secretary of state for East Asian and Pacific affairs at the time, who was leading high-stakes talks with Pyongyang aimed at dismantling its nuclear weapons program. The concert tour was a "carrot," which Washington hoped -- though it didn't admit publicly -- would improve the North's cooperation in the tough talks. Kim had actually negotiated the visit with the communist government, traveling to Pyongyang on two previous occasions with the philharmonic's leadership. "They didn't want to send Chris, because that would have been too high level, so they sent me," she said. "I helped develop the program and negotiate the terms of the visit." A naturalized American who moved from South Korea to Guam when she was 3, Kim joined the Foreign Service in 1996, during a period of pitiful resources for diplomacy and minimal hiring of new officers. She chose to go to Beijing on her first tour, followed by Tokyo. Then she returned to Washington for a stint on "the line" -- a State Department term for the group of mid-level officers staffing the secretary of state and advancing his or her travels. At the time, the top U.S. diplomat was Colin Powell. "He would walk into a room or hotel lobby, and people would spontaneously get up and start applauding," Kim said. "They didn't do it for the president, the vice president or anybody else I could see." After that assignment, Kim went to Seoul. During her tour as chief of the embassy's internal political unit, she met dozens of political and business leaders, journalists and academics. One of those acquaintances was a vice president at Asiana Airlines, South Korea's second-largest carrier. A couple of years later, that connection would pay off big time. Kim and the members of the New York Philharmonic had just flown to Beijing on a commercial flight from the United States, on their way to Pyongyang for the 2008 concert tour. But it turned out there was no plane big enough to take the entire party to North Korea. So Kim called her Asiana contact, and a Boeing 747 was promptly dispatched from Seoul -- free of charge. "It was a big PR coup for Asiana," she said. 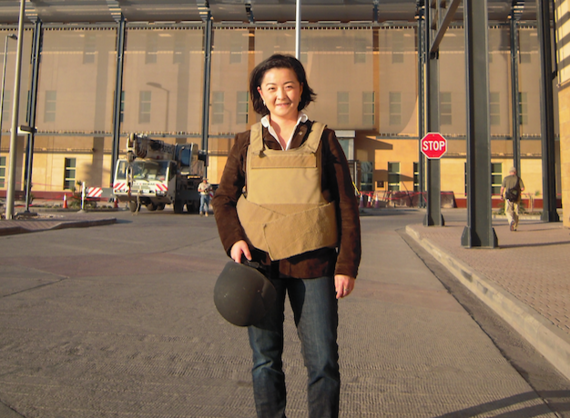 Having spent the first dozen years of her Foreign Service career in Asia and Washington, and having learned Chinese and Japanese, in addition to her native Korean, Kim decided it was time to gain some experience in another region. "I knew that Iraq would continue to reverberate for a long time" in U.S. foreign policy, she said, and many of her colleagues had already volunteered to serve there since Saddam Hussein's 2003 overthrow, "so it was my turn." At the time, career diplomats serving in Iraq were allowed so-called linked assignments in any country of their choice after completing their war-zone tours. Not surprisingly, many chose London, Paris, Berlin or other plush posts. But Kim passed on the link and went to Turkey, as the political counselor at the embassy in Ankara. "I didn't want Iraq to be a one-off" assignment in that region, she said. "I wanted it to be the foundation of something more substantive. Turkey was emerging as a significant regional power, and I thought service there would be meaningful." 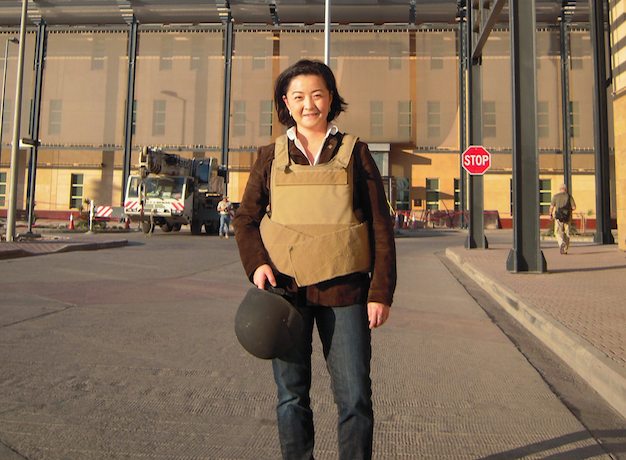 Throughout her career, Kim added, she has tried to "work on exciting issues that people care about and that have an impact," and to build a diverse skill set, including "achieving operational objectives, learning how to negotiate, managing people and running an embassy." For decades, diplomacy was an almost exclusive club of mostly white male elites who dealt with foreign countries' elites, mainly their governments. That is no longer the case. The Foreign Service is still very selective, because it naturally wants the most qualified candidates -- to quote Kim, "We aspire to be elite, though not elitist." But today any U.S. citizen between the ages of 21 and 60 who passes written and oral exams can become a diplomat, even without a college degree. While the service still has a long way to go, now it looks more and more like America -- in terms of ethnicity, gender, religion, educational and professional background, and even country of birth. Kim advised Foreign Service applicants to think hard about whether the diplomatic lifestyle -- living abroad for extended periods of time while moving to a different country every two or three years -- is for them. In addition, it may be difficult for female officers in particular to find a partner if they join the service single. "I think it's harder for women to find someone who is willing to pick up, leave his life behind and follow you around the world," she said. Ultimately, both single and married officers make sacrifices, she added, pointing out the challenges of raising a family on the go, and away from relatives and friends back home. Kim, who is currently chief of staff to Deputy Secretary of State Antony Blinken, questioned the widely accepted meaning of the word "diplomatic" as nice and tactful. "It's not about being nice to people or not saying hurtful things. In fact, in the jobs that I've had to do, we've had difficult and sometimes combative conversations," she said. "In the most acute cases, like North Korea or Iraq, it's about talking to someone so that guns don't get pulled out. It's a way to avoid or end conflict, and to get people to compromise."